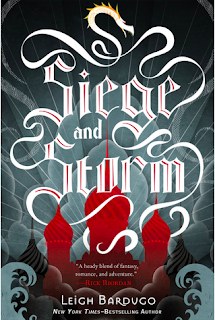 Summary: This is book 2 of the Grisha trilogy, and therefore, this review will contain spoilers for book 1. Feel free to read my review for that one here. 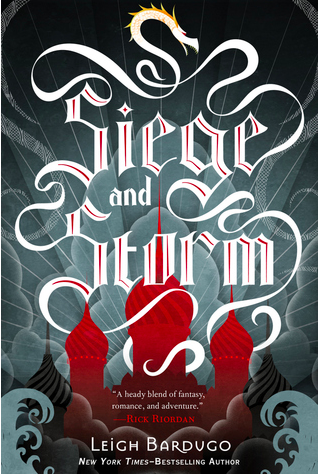 Alina and Mal managed to escape the Darkling at the end of book 1, but it nearly cost them their lives, and it definitely cost Alina a little bit of her soul, as she is haunted by the memory of lives lost at her hand. They are now on the run. They would both love nothing more than to find a place where they could live normal lives together, but Alina begins to realize that for her, life will never be normal. As the Darkling continues to pursue them, as they take up with privateer Sturmhond to locate a second Morozova amplifier, and as the streets of Ravka fill with people praying to her like a saint, Alina must decide whether to come back for Ravka and whether the cost of her heroism may end up being too high. Thoughts: Now THIS. THIS was quite the story. If I felt like book 1 was more of a lengthy introduction, then the payoff in book 2 was well worth the wait. This was pretty epic. I like that nothing in this book was simple and clear cut. Alina wants to do the right thing and rescue her nation from darkness, but it means tapping into a power that might consume her and turn her dark. Mal also wants to do the right thing, but he finds himself more and more irrelevant after all he has sacrificed for Alina, and it hurts him. Sturmhond is not who he first appears to be, literally. And the Darkling continues to walk that line between completely seductive and completely evil - well, not that he walks the line, but he continues to be both things. As the book keep reiterating, "like calls to like," and Alina identifies with him more than she finds comfortable. I also like that this book is heavy-handed on politics and religious faith, considering how the same character ends up being the central figure in both areas. On the one hand, Alina is asking to be trusted as a military and political leader, and on the other hand, she is also forced into this strange role of deity as a cult springs up around the legend of the Sun Summoner. How are these roles different, and how are they the same? Regardless, Alina finds varying levels of discomfort with both, and needs to find a way to leverage them for Ravka's future.